Many people seek guidance from a financial advisor to help them build an investment portfolio that will help them throughout their retirement. However, many people feel intimidated by the financial planning process and by the financial advisor. Soren T. Christensen, founder of Advanced Wealth Advisors, seeks to reduce the stress people face when it comes to their financial planning. 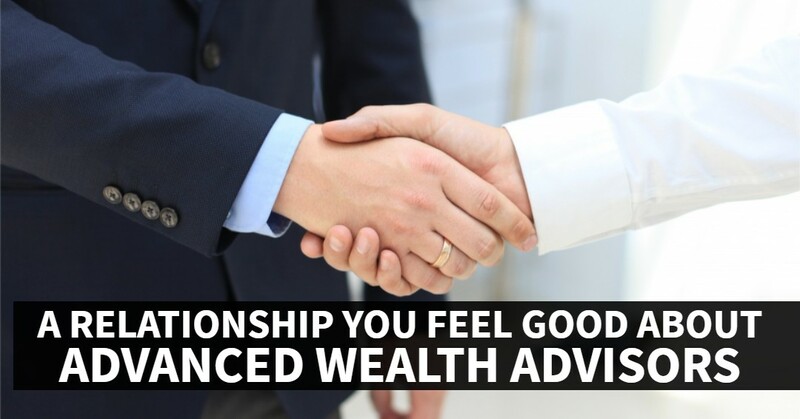 Soren founded Advanced Wealth Advisors with the primary goal of guiding clients through their entire financial life cycle in the most straightforward manner possible. Working with your financial advisor at Advanced Wealth Advisors will likely be different from any other experience that you’ve had. Today’s blog is going to cover a few of the ways that you can count on our financial advisors being different from others. Allowing for someone to work closely with your finances is difficult. It requires a relationship and an underlying trust. This is something that we make extreme efforts to do right out of the gate. Through honest and transparent communication, we are able to work with you to discuss your goals, create a long-term plan, and monitor and update this plan along your financial journey. As we continue to work with you, we will have an open form of communication so that you can always know where your finances are and what is being done each and every time that we work with you. Communication is a major part of having a good relationship, and this is where you will see an immediate difference working with one of our financial advisors. You will always be able to count on our team to be honest with you. If there is a better opportunity for you in terms of how we’re working with your finances, you can count on us to be the first ones to point it out. Your financial success and happiness is our top priority and we will always guide you as best we can. No two clients will have the exact same circumstances, so why would we treat them as if they do? Our financial advisors focus on each client individually. As a client-focused company, we are always tailoring our advice and our actions to the individual that we’re working with. This close and personal relationship is one of the main reasons that so many people have trusted our team for their financial planning. Whether it’s a strategy that you’re looking to have created, guidance with investments that you already have, or any other assistance tied to your finances that you need, we’re always going to be the team to provide you with the answers tailored directly to you. If you’re ready for a financial plan that is tailored to you and your unique needs and goals, then it may be time to speak with one of our financial advisors. It’s important to work with a financial advisor who has expertise and experience in financial planning. Soren T. Christensen has over 12 years of experience in the industry and is a Certified Financial Planner™ professional and a Chartered Financial Consultant®. Regardless of who you are working with here at Advanced Wealth Advisors, you will always have experience and expertise in your corner. With years in the industry, we have been able to continue to develop our knowledge, experience a wide range of scenarios and so many things in between. That being said, the types of experiences that we’ve acquired over the years have only helped us improve the experience that we’re able to create for our clients. Having someone that is experienced and knowledgeable will likely be an important part of what you want when you’re looking for a financial advisor. It would be a challenge to find a group of individuals that are more driven and hardworking than we are. You’ll see when you start working with us just how different the energy and time that we spend working together feels. Which is exactly why expertise and experience are such a crucial part of the way that we approach financial services. At the end of the day, we aren’t in just the financial planning business, we are in the people business. We love our jobs because we’re able to work with individuals and provide them with everything we can to help them achieve financial success. One of the things that many businesses lack these days is the ability to provide high-quality customer service, and that’s why we’ve made it one of our main pillars. Whether it’s a question that comes up or some additional time that you need to truly understand the strategy that we’ve created, we’ll always be there for you when you need us. Our team is always an email or a phone call away, and from there you can guarantee that you will always be heard. The individuals we work with become friends and family, and we want nothing more than to provide the absolute best for them. Aside from these items that we’ve mentioned in this blog post, the experience of working with a financial advisor and the results of having that guidance is another benefit that you’ll reap. As a whole, each of these pieces works together to create a unique type of financial firm. If you’re ready for a truly unique financial planning experience, it’s time to reach out to Advanced Wealth Advisors. Our team is dedicated to providing the Naples area with the highest quality financial guidance and service possible. Contact us now and our team will help you create the right strategy to achieve your financial goals.